Sitting is a necessary and frequent part of our daily lives; we sit at home on dining chairs and armchairs/sofas, we sit in cars, in restaurants, at desks, and on buses. We sit for meals, whilst engaged in work or hobbies, or when socialising with friends and family. For some, sitting is important to maintain safety and to alleviate fatigue or other physical stresses, and for others it is a necessary part of our working lives. Whatever the reason, for the majority, sitting forms a large portion of our day. As we age, the need to sit down may increase. 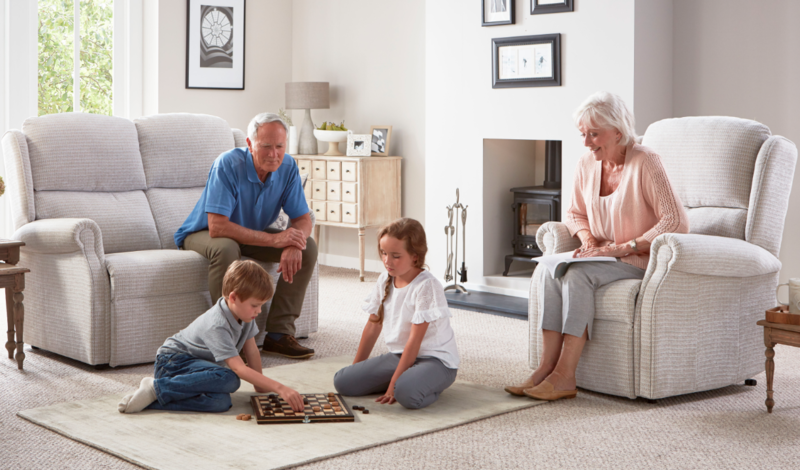 Research cited by the British Heart Foundation states that, on average, people between the ages of 65 and 75 spend 10 hours per day or more in a sedentary position. By the age of 75+, this number has increased to 11 hours. Bones and muscles become weaker, balance can be affected, and energy and stamina levels can reduce, making it harder to move around; in addition, the incidents of health problems can increase. Prolonged sitting has been linked with several health concerns and so, in an ideal world, the solution would be sitting less and moving more. But what if we have to sit for long periods of time due to health, employment or other lifestyle factors? In this case, it is essential to have the right chair or sofa so that you have the correct postural support to help your body rest well and move better. Many of us develop what is known, in Occupational Therapist circles, as a “Comfort Posture”. This term refers to the most comfortable position we adopt in a particular seat. If our usual furniture does not support us in the way that it should, then our “comfort posture” will be heavily impacted. A good way of understanding this is to think back to when you went away on holiday, or you stayed at someone’s home for a long period of time. When you went, did you find it an odd, even painful, experience to get used to a different bed or chair? This is because your muscles (and brain) learn the most comfortable position to be in, and when we go somewhere new, our muscles are then challenged and put under new forces whilst we try to find our new “comfort posture”. Once you have been provided with an appropriate chair that meets your postural requirements, it is usual to experience short term muscle discomfort, as your body learns to adopt a new and hopefully better position to rest in. In most cases this should last no more that 2-3 weeks, and less, if coupled with regular exercise and movement. If you have the right chair or sofa, this will help maintain these natural curves and avoids stress or loading on joints that pull muscles and cause pain. 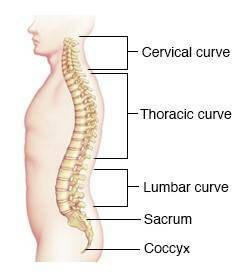 This can lead to increased aches and pains, risk of injury/falls and loss of independence. Poor posture can also cause problems with digestion; it is known to contribute to poor circulation; and your breathing can be heavily affected if you aren’t sitting in the correct upright position. Several studies have linked lack of movement with increased mental health problems; including anxiety, depression, and social withdrawal. Studies have linked excessive sitting with a whole range of diseases. Sitting for long periods of time slows down the metabolism and helping the body work as it should. As we age our circulatory system becomes slower and we are at increased risk of developing pressure sores. 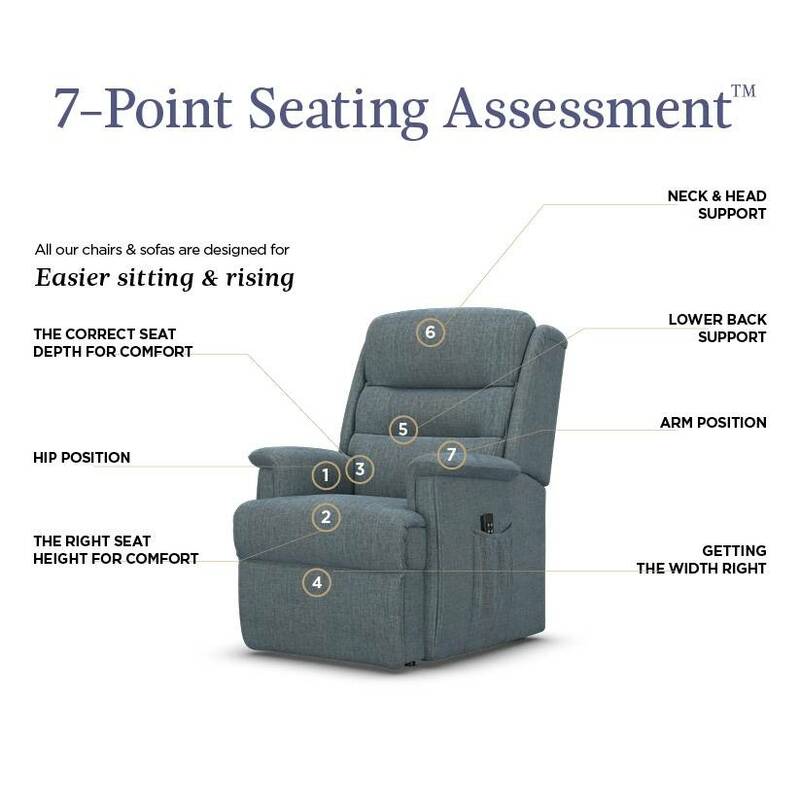 Ensuring that your chair/mattress is suitable for your height, weight and body type and provides good postural support can go a long way to decreasing this risk. But don’t despair, these complications can be avoided. We have established that sitting is an intrinsic part of our lives; we also know that if we don’t sit in the correct way and with the right support it can have serious detrimental effects on our comfort, health and well-being. So, how can we sit correctly? Try to avoid sitting in the same position for more than 30 minutes. If necessary use the chair arms to support you when standing up. Try standing and sitting 10 times in a row each time a TV commercial comes on – this way you’ll help develop the muscles in your thighs and stomach. You might need to plan out your living room position so that you are closer to household items you regularly use. You could have the perfect chair and position, but might lose the benefit of these if you’re constantly twisting or straining your neck, back and shoulders to reach for things, watch TV or speak to people. 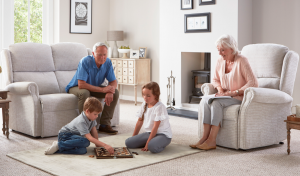 Make sure that the floor space around your chair is free from clutter or other hazards. You don’t want to trip or stumble when you get back up.